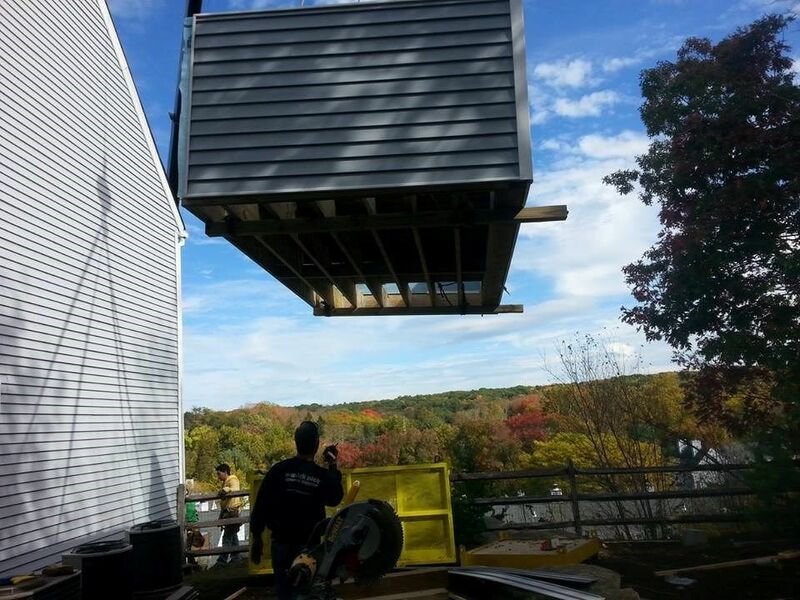 Large project consisted of replacing 15 decks at a condominium complex in Wilton, CT. The grand finale was replacing the final two decks, which were cantilevered over a 100 foot cliff. We brought in a large crane and prefabbed the decks on the ground, then "flew" the decks through the air and installed them onto the units. The decks in this project featured Duralife Siesta Hardwood Decking.